The furnishings for the home Doppiozero39 are a harmonious blend of uniqueness and beauty. It is an essential feature. We let every customer to feel special and we create an environment for them that reflect and respect their idea of style and elegance.  Doppiozero39 has made fine furnishings in Milan, Monza and Brianza, as well as the villas on Lake Como and luxury chalets in the Alps in Switzerland. The international spirit of the company has allowed us to spread the interior design of Made in Italy to the world: from the apartments in the best areas of London, the cosmopolitan New York; the mansions in Russia to modern skyscrapers of the modern Shanghai; from the buildings in the Emirates to the Far East and India. Over the years we have continuously looking for new master craftsmen, crossing the borders of Brianza in Lombardy to artists from Murano, Novi, and Tuscany, wherever we can find the works that can speak for the quality of Made in Italy. This hub of quality has enabled us to carry out the wishes of our customers, whatever the style of interior design that met their taste. Over the years we have designed furnitures for prestigious houses, chic furnishings, apartments in eclectic art nouveau or traditional classic; every creation preserved the inevitable and happy marriage between uniqueness and quality.